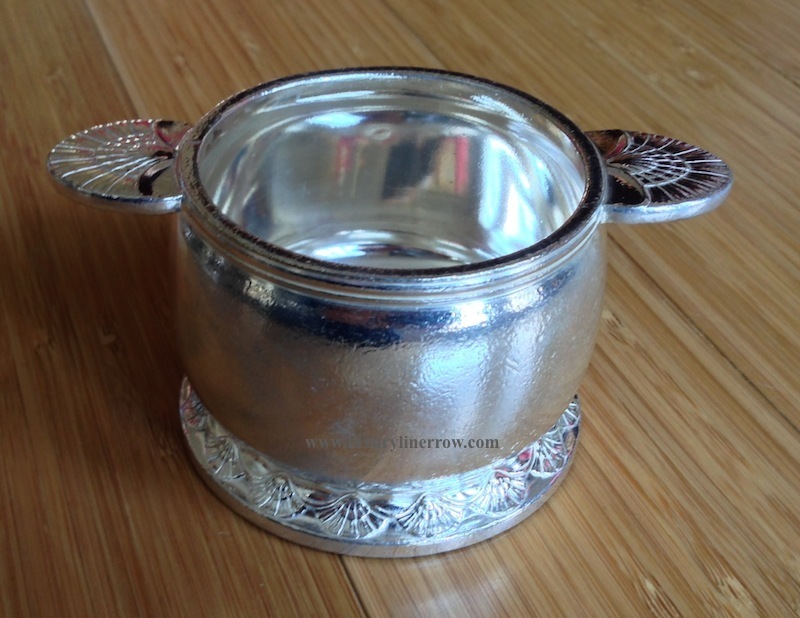 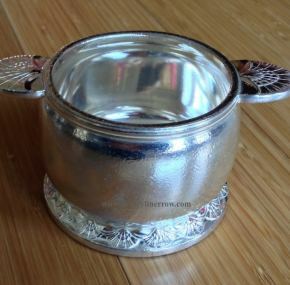 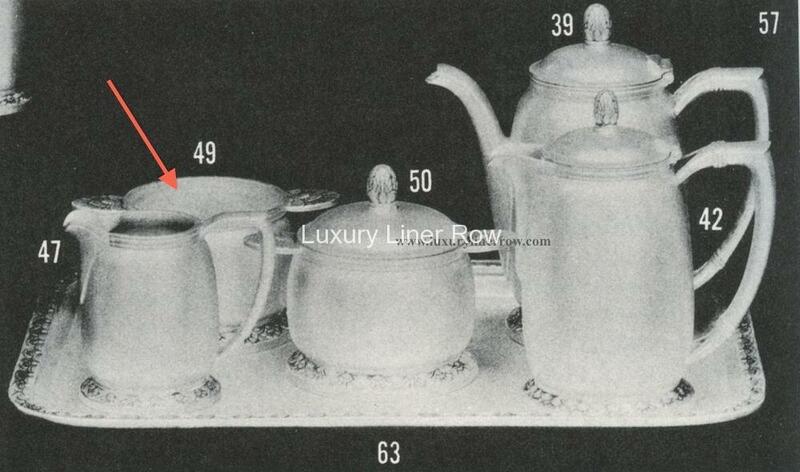 Silver-plated sugar bowl from the ssUS. 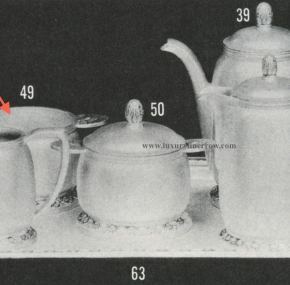 Stands 2¼” tall x is 4½” from handle to handle. 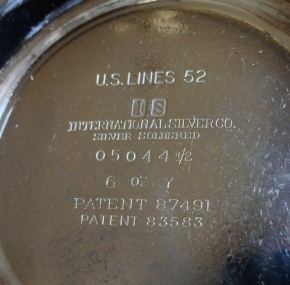 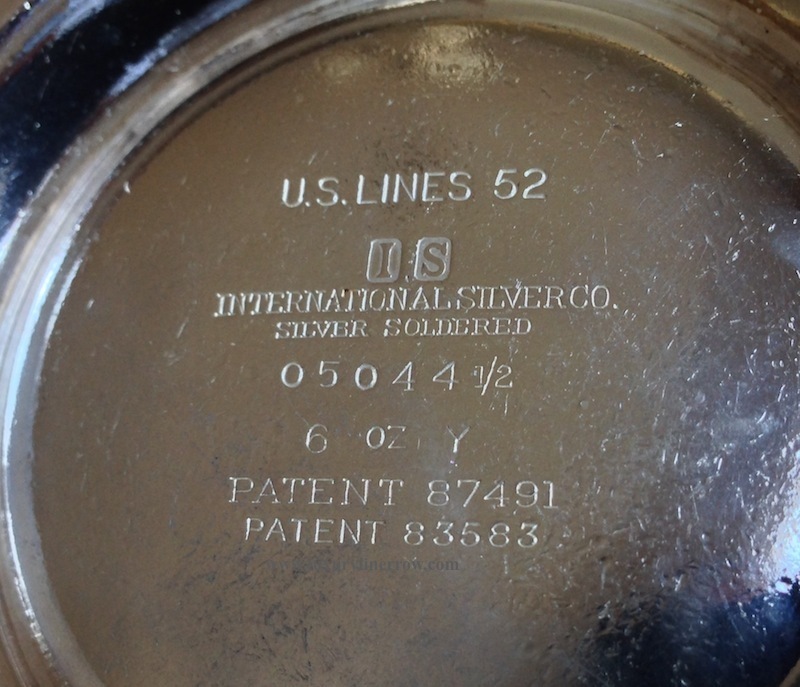 Made by International Silver Co., and marked “US Lines 52.” Several available, and all in great condition.